We love this town, her people, and we are learning her cultures and languages - starting with Afrikaans. 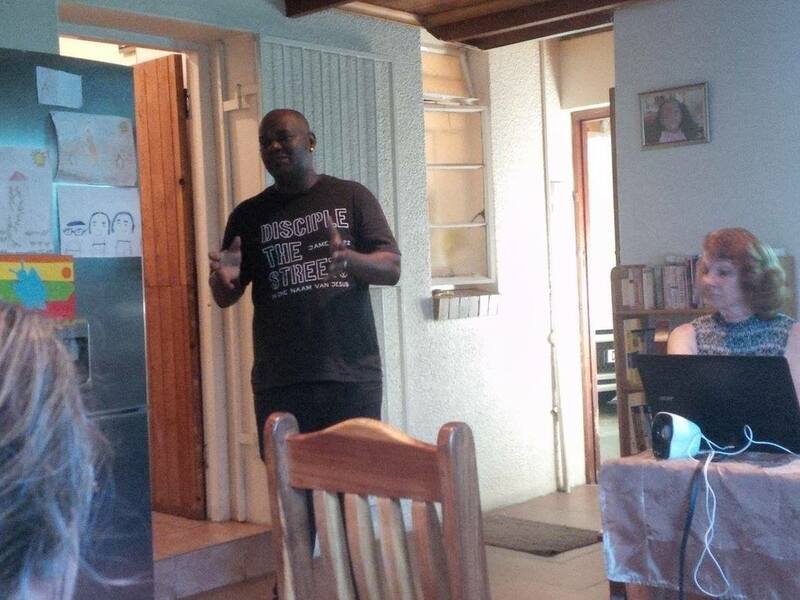 We have connected with Marco and Rens Ruiters of My Fathers' House Worcester and Disciple the Streets, Together with their team, they have a huge heart for the Avian Park township, although Marco also does street evangelism in other neighbourhoods. Most of these are noted on his t-shirt. My Father's House Worcester is headed by Jan Buchanan, who has a huge heart for this community of Worcester, especially Avian Park. L-A felt strongly led to set up a website for this ministry (the link is right below this message). She and Tony also help on Mondays with the Bible study class by providing music and love. We are also working to partner with Dr. Mella Davis of MasterPeace Academy, and Topsy Turvy Creations, Boland hospice, one of the prisons, a children's centre and so much more. Tony teaches science every morning, as well as music on Wednesdays, Laurie-Ann teaches art on Tuesdays and plans to help in some admin. We also got involved with Riverview kids' club, which is run by Dr Mella Davis. We provide music, love and sometimes talks! More will come as we deepen these friendships and stop for the one with our friends, as a couple or as either Copple individually. 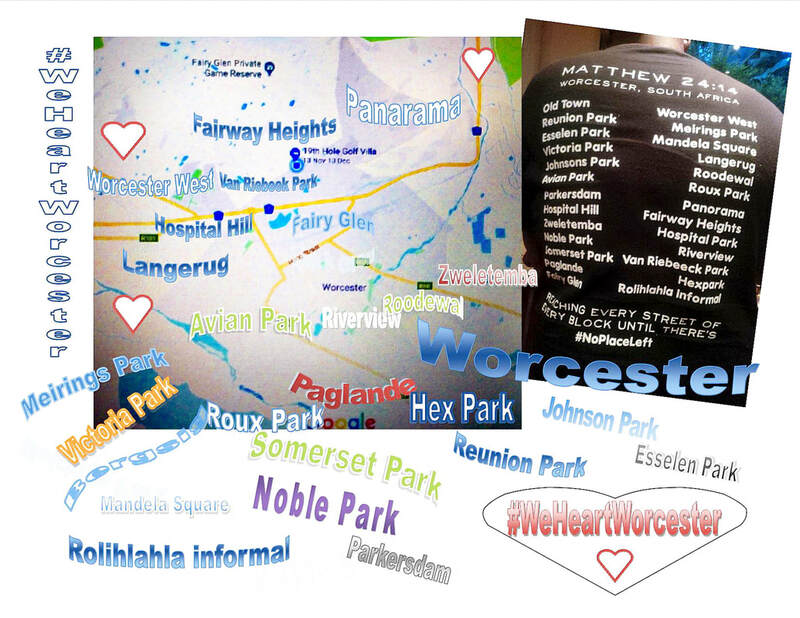 We are family and #WeheartWorcester. ​We both connected with the Kibbutz - El Shammah ministry, located in Roodeval township near the flats. More will be posted about that ministry soon. They are doing amazing work with Boa Boa screen printing, a sewing centre, ministry to gangs and drug addicts, a creche and an eco-program for kids. L-A is involved with bookkeeping and prayer in this vital ministry. “When the poor and needy search for water and there is none, and their tongues are parched from thirst, then I, the Lord, will answer them. I, the God of Israel, will never abandon them. I will open up rivers for them on the high plateaus. I will give them fountains of water in the valleys. I will fill the desert with pools of water. 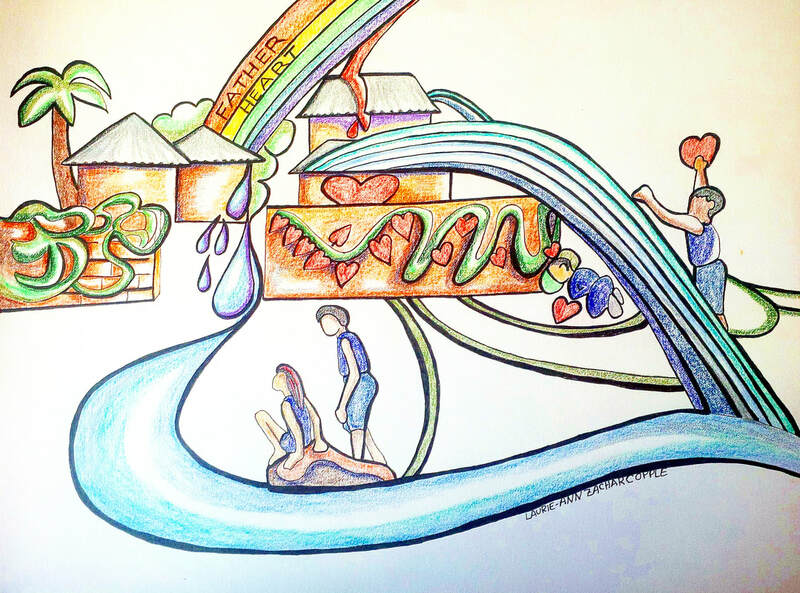 Rivers fed by springs will flow across the parched ground. I will plant trees in the barren desert— cedar, acacia, myrtle, olive, cypress, fir, and pine. I am doing this so all who see this miracle will understand what it means— that it is the Lord who has done this, the Holy One of Israel who created it.